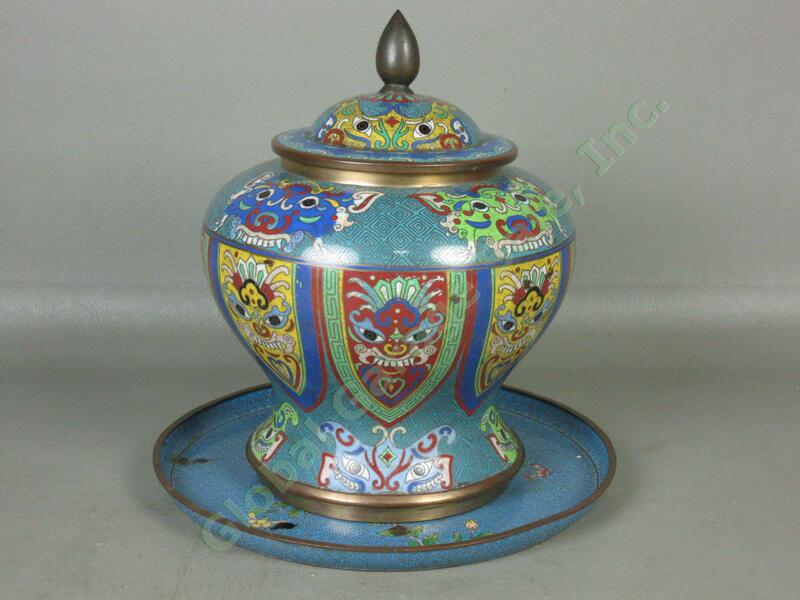 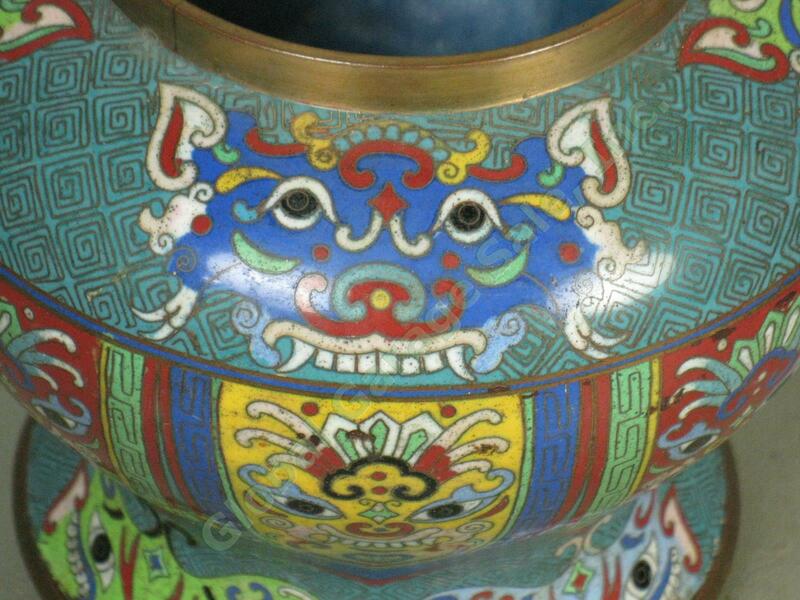 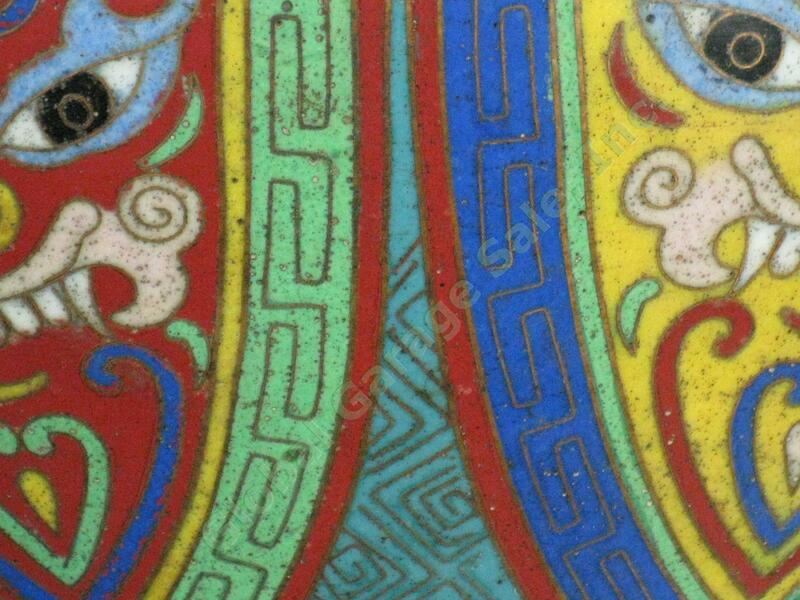 This listing is for a Vintage/Antique Chinese Enamel Cloisonne Urn. 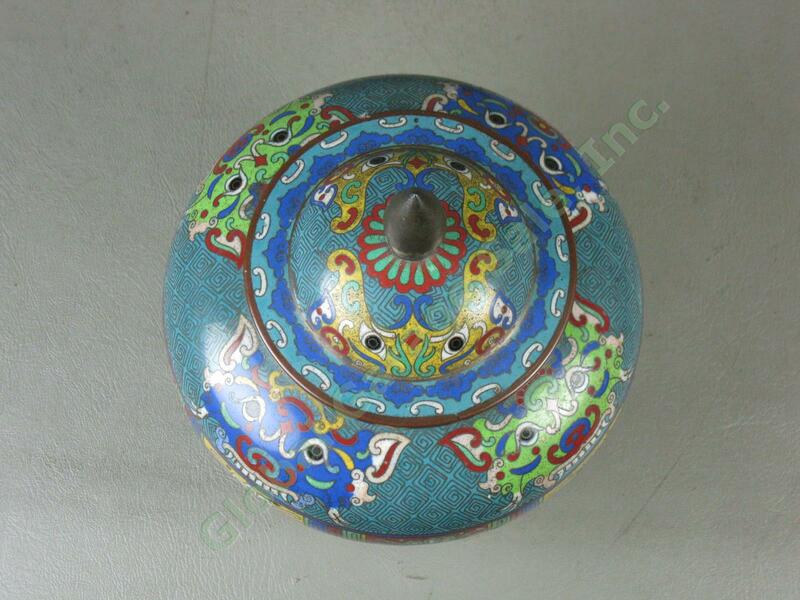 It is covered with colorful dragon motifs and measures just over 8" inches tall to the top of the lid. 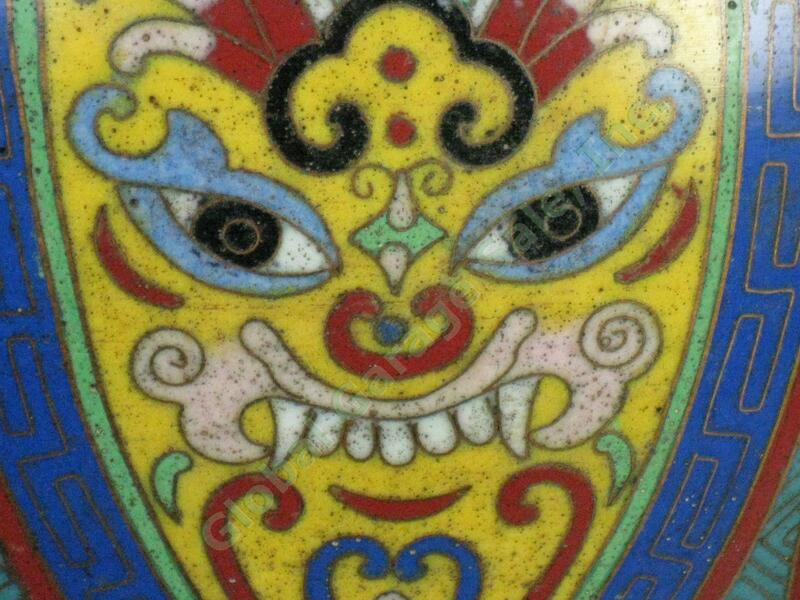 It appears to be made of brass, but we can't be certain. 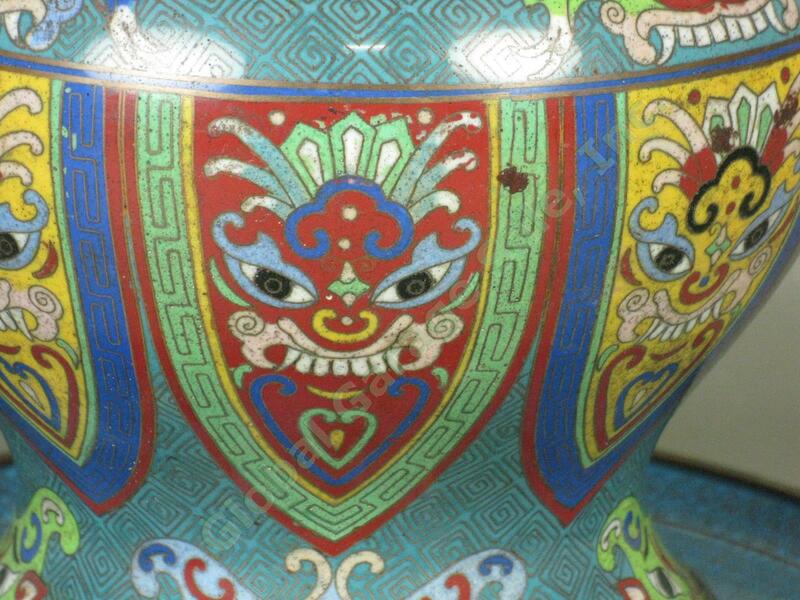 The urn is unmarked. 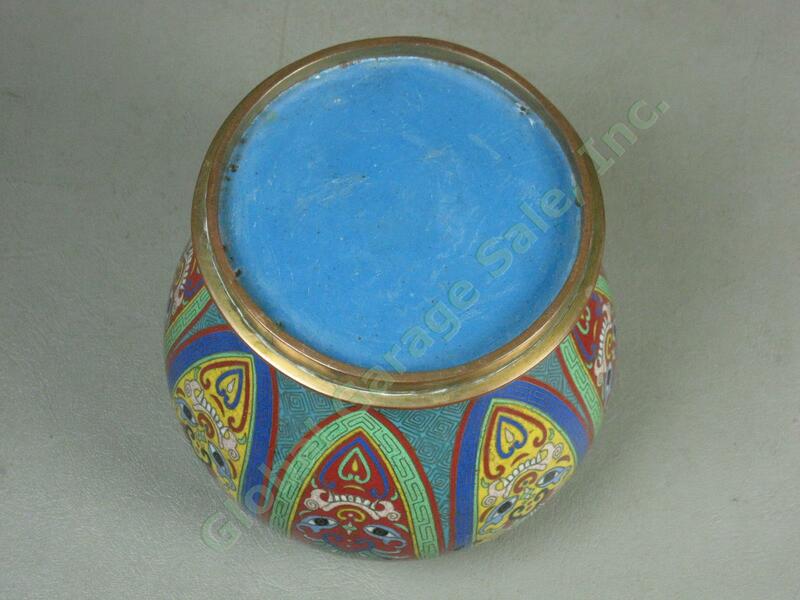 We are also including a brass(?) 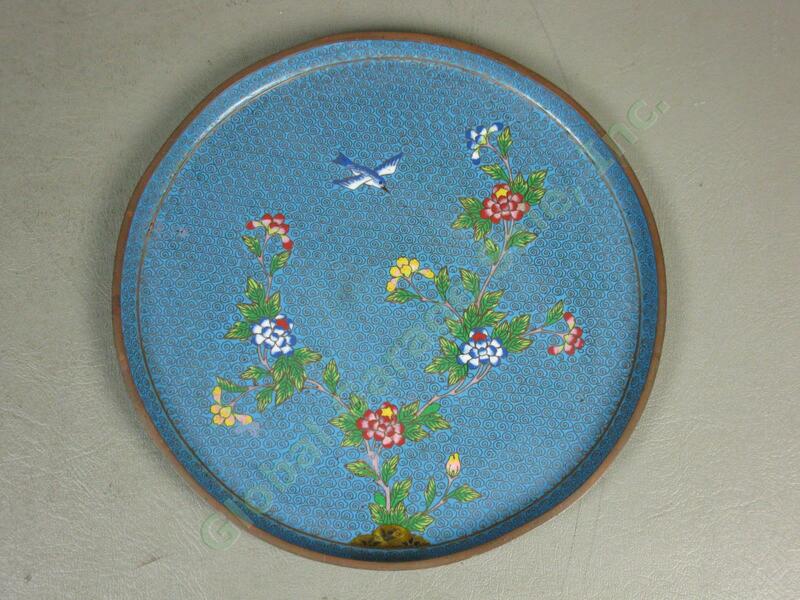 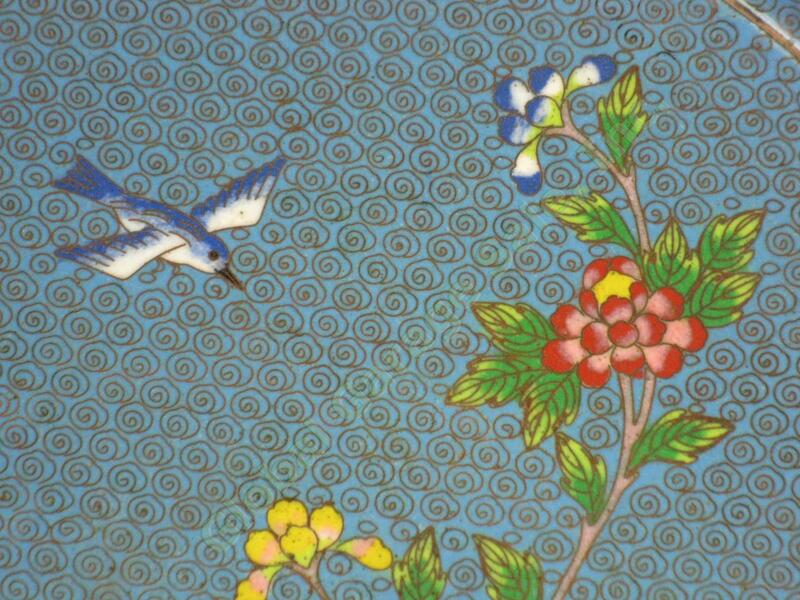 enamel cloisonne plate with a floral/bird design. 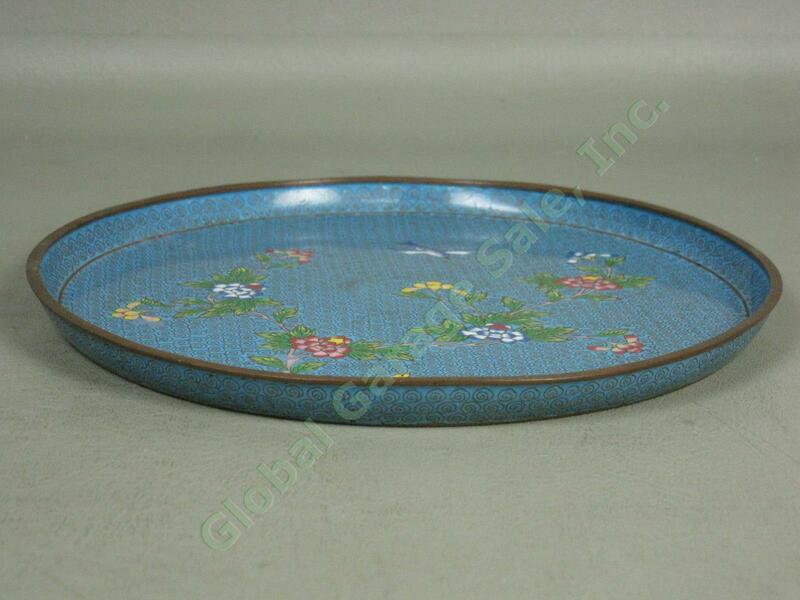 It measures just over 8" inches across and is marked 'China' on the bottom. 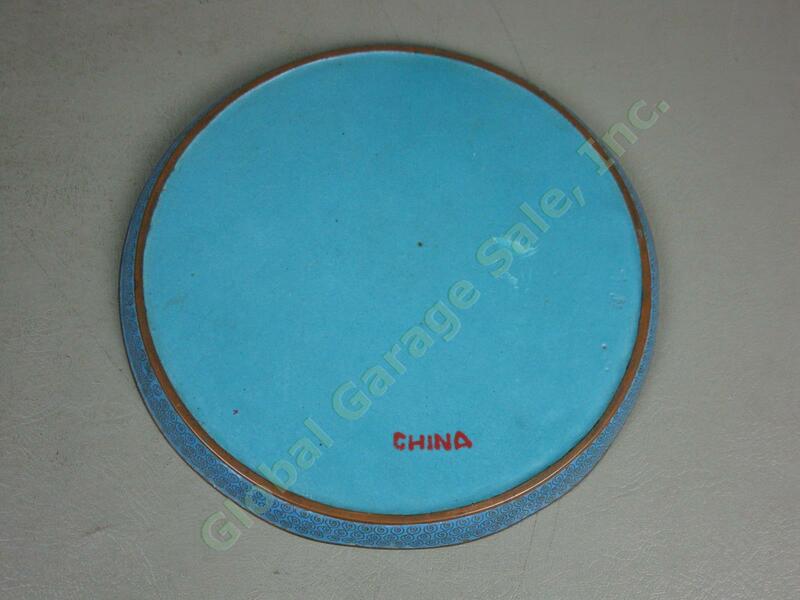 These pieces are in good condition with general wear from age. 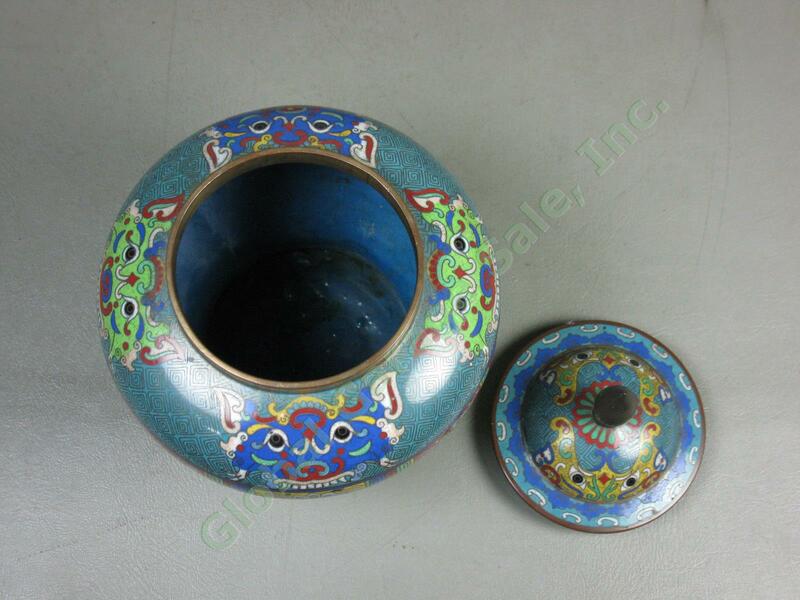 Please see the detailed photos below and contact us with any questions before bidding. 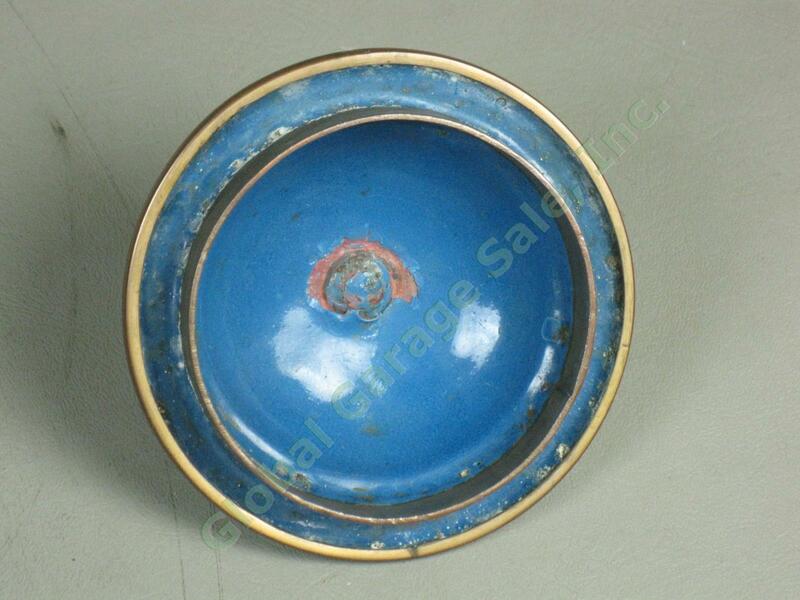 We have a low opening bid and no reserve price, so don't miss your chance to get a great deal! 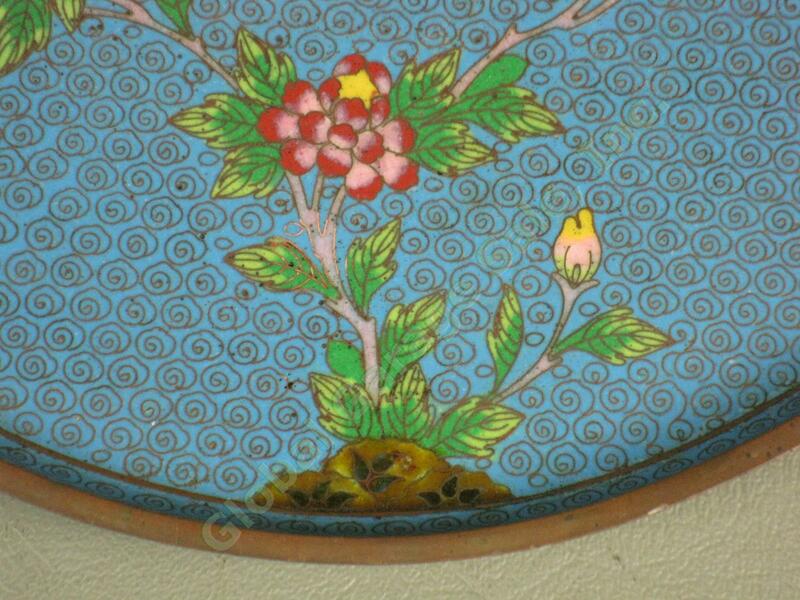 Click here to look at our other eBay listings for more antiques and collectibles.